Group from Bristol,RI first know as The Classics formed by From left to right: Al Gilbert (bassman) , Bob Armstrong (first tennor), Ken Catalano (2nd tennor, baritone), Jerry Raymond (falsetto, 1rst tennor),Jerry also was know as Cal Raye. 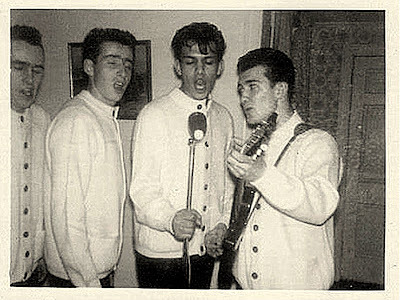 All the members of the group sang lead, depending on the song and the range.when another group came out with a hit record using the same name 'Classics' the guys change their name to The Class-Airs. -My Tears Start To Fall/Too Old To Cry. 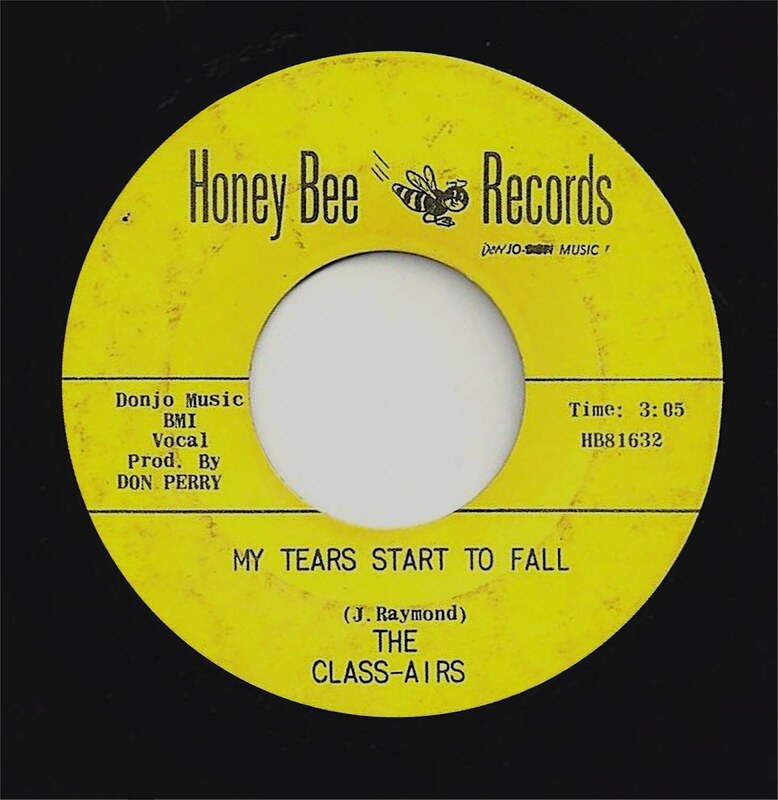 Honey Bee Records-?. 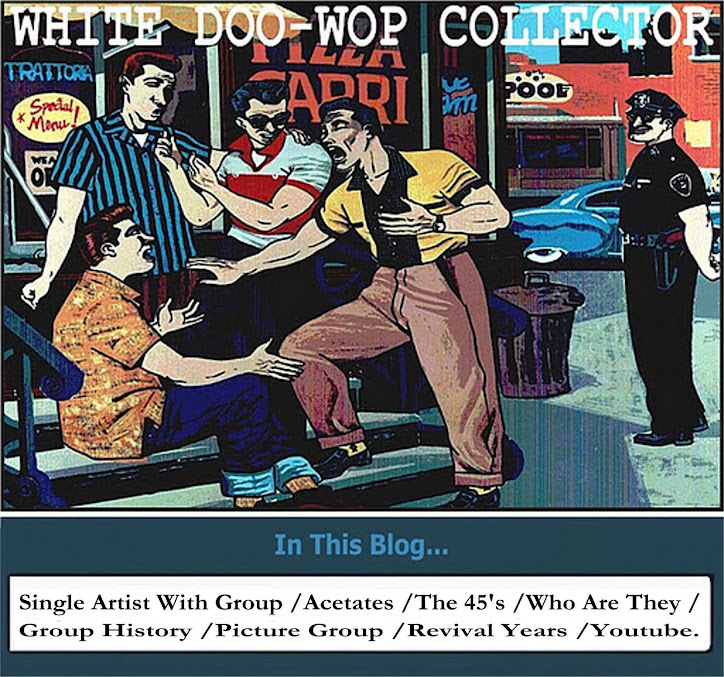 Also have one single on Pharaoh Records not present in the doo wop guides under the name of CAL RAYE & THE CLASS-AIRES.